If hours upon hours of HGTV binge-watching has taught us anything, it’s that pretty much anything can be DIY’d. New deck? Go for it. Updated bathroom? You could have the walk-in shower of your dreams in a weekend’s time. What’s more, those TV pros make it look so easy. So if you have a big renovation on the horizon, we can understand the temptation to ditch the general contractor and tackle the job yourself. And on the one hand, we don’t want to squash your ambition. Believe in yourself and anything’s possible, right? 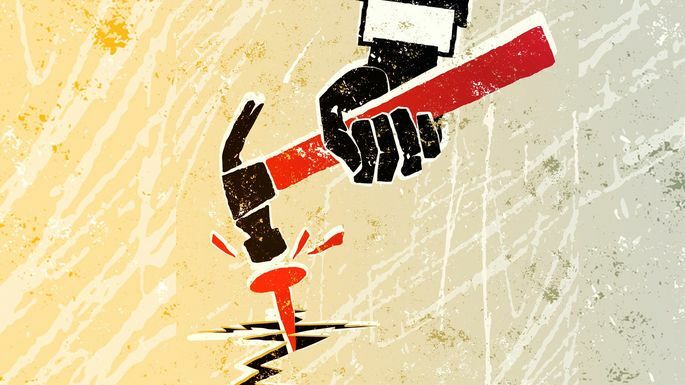 But on the other hand, overblown ambition—fueled by more than a few myths about what it really takes to DIY a home renovation—can lead to an expensive disaster. Have you caught yourself making these assumptions about your DIY project? Set yourself straight before you start swinging the sledgehammer. Watch Jonathan and Drew Scott rip out a kitchen wall, and you’d be forgiven for thinking you can DIY an open-plan layout, too. All you need to do is Hulk-smash your drywall! You might even picture getting the kids involved (with proper safety gear, of course). But take it from us: Set down the sledgehammer. Step away from the wall. “Remodeling has become so ubiquitous through various media like shows that many homeowners view it too casually, sometimes treating it more like a hobby than an expertise,” says Jason Biddle, who runs aging-in-place home resource The Helping Home and has managed multiple major renovations in his own home. To give your project the respect it deserves, take the time to thoroughly research it in advance. Biddle recommends reading construction resources like “The Visual Handbook of Building and Remodeling,” to familiarize yourself with all the crucial details you’ll need to know. And when in doubt, call for help. “Know your experience level and have the wisdom to know when you can handle a project yourself and when you should seek the help of an expert,” says Tonya Bruin, CEO of To Do-Done Renovations. Assembling the materials for your DIY renovation from the couch can seem fun and easy, but think twice before you click “add to cart.” Whenever possible, it’s better to buy materials in person. At a store, you can check quality (is that tile prone to cracking?) and make sure you’re getting what you pay for. When you buy online, “you take on all the risk and can’t verify details for things,” says Matthew Breyer, the president and lead designer at Breyer Construction & Landscape. Imagine that enormous cabinetry order you placed finally arriving—only to realize the hardware wasn’t included, the shelves are the wrong size, or the construction is poor. If you’re set on purchasing online, check your order thoroughly to ensure every piece you need is included—and build in time for returns or exchanges. 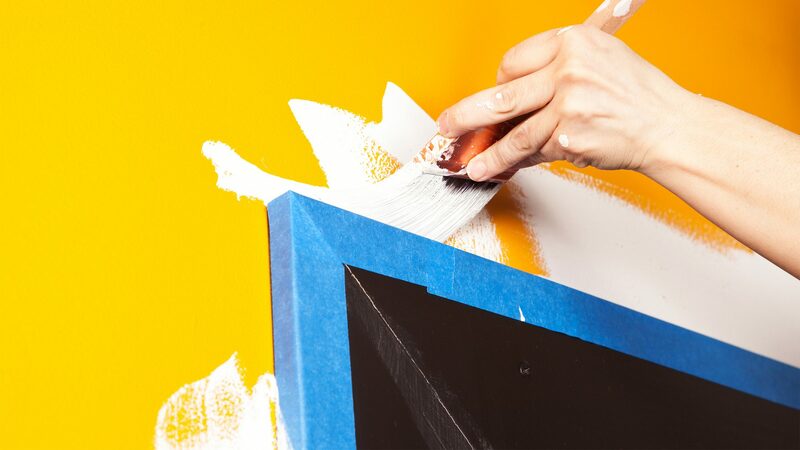 We’ll admit painting is one of the simplest DIY jobs. But that doesn’t give you license to skip the painter’s tape. Sure, when you do projects yourself, your labor costs will be less—but materials still cost money (and there’s also the value of your time). “The costs will still most likely cause some sticker shock,” Biddle says. Once again, we’ve got television to blame Just because Chip and Joanna Gaines knock out a whole-house renovation for $70,000 doesn’t mean you’ll do the same. 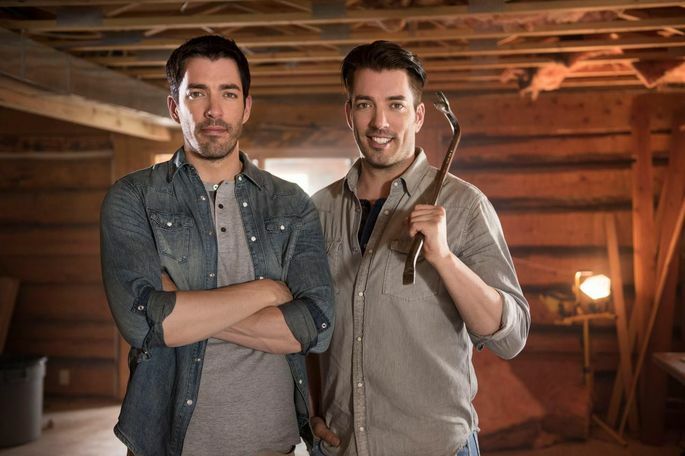 “The unrealistically low budgets on HGTV shows mislead viewers into thinking that their own remodeling efforts won’t be very expensive,” Biddle says. And don’t forget to budget for the inevitable screw-up. “Some renovation projects are simple enough in theory, but they can quickly turn into a headache and end up costing you a lot of money having to fix mistakes,” Bruin says. But even small projects can be a big deal. Shatter a box of tiles? That’s a trip to the hardware store. Take a break to watch a few episodes of “The Chilling Adventures of Sabrina”? Before you know it, that’s a weekend lost. No one’s expecting your work to be perfect. Installing cabinetry is hard; hanging shelves requires masterful precision; and getting all the decking boards aligned … well, good luck with that. It will hopefully be no surprise that renovations can be messy. A big dumpster can eliminate some of the pain—but not everything can be disposed of that easily. “Many building materials are actually considered hazardous,” Breyer says. Your old flooring could have asbestos, and the drywall you tore down might be covered with lead paint. Governments have specific regulations about how these materials must be disposed. Research everything you throw in that dumpster, otherwise you might get slapped with a fine. Hooray—another unexpected expense! Written by:Jamie Wiebe writes about home design and real estate for realtor.com. She has previously written for House Beautiful, Elle Decor, Real Simple, Veranda, and more.